When it comes to the legalities of cannabis on a state level, whether it be recreational or medical use – it can be challenging to get to a clear-cut, black-and-white answer. This is due in part to the Federal government keeping cannabis, for now, as a Schedule 1 drug – right up there with heroin, cocaine, and LSD. So, as far as the federal government is concerned – it's illegal. This leaves the states to decide their cannabis laws and regulations on their own. According to Pew Research Center, 6 in 10 Americans support marijuana legalization. Over the last few years, the number of Americans speaking out about the federal governments classification of Marijuana is growing, and we’re starting to see real change happening at the state level. In fact, for the first time in over eight decades, cannabis might finally be considered for more than a plant embraced by hippies. To learn more about where we are as a country broken down by state, you’ll find a complete list of the U.S. states and their corresponding laws regarding medical/recreational marijuana, CBD, and hemp below. Important Distinction: The U.S. Government Patent #6,630,507 confirms the therapeutic use of cannabinoids as antioxidants and neuroprotectants. This patent was awarded in 2003 to the Nobel Peace Prize Winning Laureate, Dr. Julius Axelrod. Cannabinoids are found to have particular application as neuroprotectants, for example in limiting neurological damage following ischemic insults such as: stroke and trauma, or in the treatment of neurodegenerative diseases such as: Alzheimer's disease, Parkinson's disease, and HIV dementia. Despite this clear benefits identified by the U.S. government of the therapeutic use of cannabinoids, the legalities of medical marijuana, cannabinoids remain unclear due to discrepancies between federal and state laws. DISCLAIMER: With so many individual laws changing at such a rapid rate, this page will be updated regularly and is subject to change without notice. Alabama has implemented CBD-only laws and has allowed medical access to it for certain conditions if recommended by a doctor. The extracts are only allowed if they contain 3% THC, or below. 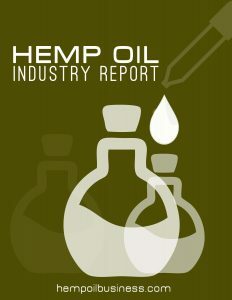 In 2015 Georgia passed an Act allowing for institutions of higher education to conduct clinical research of THC oil. The trials are to meet FDA compliance. The Medical Cannabidiol Act of 2014 only allows patients with intractable epilepsy to have access to CBD oil. 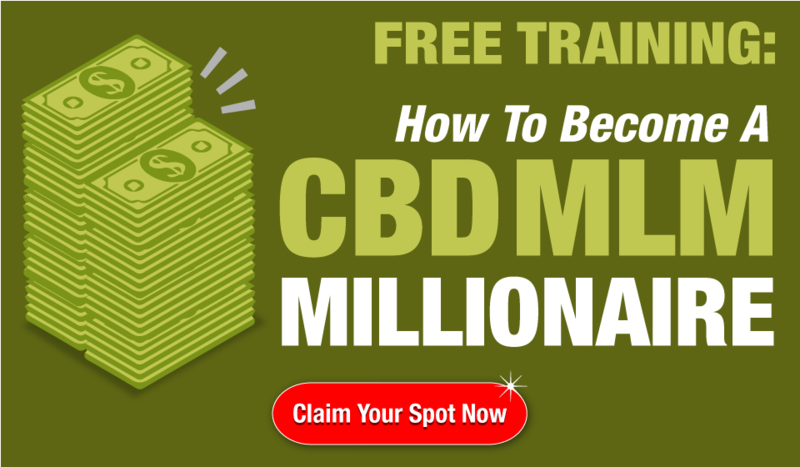 The CBD oil must contain less than 3% THC and be free of all other plant material. Patients can only possess up to 32oz of the oil. The state has implemented a medical marijuana program for specific conditions only. Patients are also required to obtain a medical card through the state. Medical patients can get their medicine through a state-licensed dispensary. In 2017 Indiana has implemented CBD only laws and only patients who have treatment-resistant epilepsy can participate. The CBD oil that is approved must contain at least 5% CBD by weight and contain no more than 3% THC by weight. Also added to the statue – it says that the state may prosecute any person(s) for a paraphernalia charge of certain items used in conjunction with the lawful possession of medical cannabidiol. As of May 2017, Iowa expanded the list of qualifying conditions to their medical cannabidiol program. Patients must apply for the program via the Iowa Department of Health to obtain their medical cannabidiol card. Iowa has not defined any method for residents to get access to approved in-state CBD oil. This is expected to change in December 2018 or early 2019. Patients who qualify for the medical cannabidiol program may only use CBD oil that contains 3% THC or under, and can only possess up to 32oz of the oil. Kansas has implemented the Alternative Crop Research Act, which allows the Department of Agriculture in conjunction with institutions of higher education to research the economic effects of cultivating industrial hemp. In 2014, Kentucky removed cannabidiol from the states' definition of marijuana. This has allowed the state to approve CBD oil through public universities and schools of medicine for clinical trials or an extended access program that is to remain in compliance with the FDA. The Clara Madeline Gilliam Act of 2014 does not define a method for patients, with a doctor's recommendation, to access CBD oil. Kentucky residents are required to travel to a state with a medical cannabis program that allows the production and sale of CBD medications. That state must also recognize the Kentucky residents doctors recommendation. Louisiana has not yet established an operational medical marijuana program. However, a medical marijuana program is in the works. Once operational, Louisiana's medical marijuana program will be limited to those suffering from specific conditions and would allow for no more than a 30 day supply of non-combustible or vapable forms of cannabis – including cannabis flower. Although there has been only one dispensary approved to operate in the state, patients will be able to obtain their medication through one of ten dispensaries approved by the state. The state has implemented a comprehensive medical marijuana program for those suffering from specific conditions set forth by the state. Medical patients can obtain their medicine through state-licensed dispensaries with a state-issued medical card. The state also implements a comprehensible medical marijuana program for those suffering from the listed conditions set forth by the state. Patients can obtain their medication through one of the states licensed dispensaries. Michigan has recently implemented a medical marijuana program, limited to those suffering from specific conditions set forth by the state. Michigan's medical marijuana program has started the process of licensing dispensaries. No dispensaries have been established thus far. Out-of-state medical patients are not recognized for dispensary purchases. However, out-of-state visitors are provided legal protection for possession. State licensed dispensaries are only allowed to offer liquid cannabis extracts. Patients can obtain their medicine through one of these dispensaries. Mississippi has not yet established a medical marijuana program. Instead, the state has implemented a limited CBD-only piece of legislation via the Harper Grace's Law of 2014. The legislation applies to those with debilitating epileptic conditions or related illness. Since 2001, Nevada has established their own medical marijuana program allowing those with specific conditions, set forth by the state, to access the program. Patients can obtain their medication through a state licensed dispensary or cultivate up to 12 plants in their home. Patients have the option to cultivate up to 12 plants if the patient lives over 25 miles from a licensed dispensary. Also, if any given dispensaries operating within 25 miles of the patient's home doesn't offer a specific strain – that patient may cultivate that particular strain of cannabis. Out-of-state patients are recognized in the state of Nevada – as long as the visitors home state has a “subsequently similar” medical marijuana program. That patient is required to fill out the appropriate Nevada paperwork. The state does have an operational medical marijuana program for those with specific conditions set forth by the state. Those patients can obtain their medication through a state-licensed dispensary. Out-of-state patients are recognized in New Hampshire as long as the visitor has a note from a doctor from their home state. However, that patient can not purchase from a New Hampshire dispensary. Products allowed to for sale in medical dispensaries are to contain no more than 10mg of THC. Medical marijuana is not allowed to be smoked. Vaporizing however, is permitted. The state has implemented a medical marijuana program for those suffering from specific conditions. Patients' medication is obtainable through a state-licensed dispensary. Ohio has slowly started to roll out their medical marijuana program that can be utilized for those with specific conditions. However, there are no operating dispensaries, and the state has not yet started to issue medical card ID's. In 2016, the state passed CBD-only legislation that expanded the age and conditions of those who would be allowed to use the products. Patients must also get a recommendation from a doctor. State utilizes a medical marijuana program for those suffering from conditions set forth by the state. Patients can obtain their medication through a state-licensed dispensary. No medical marijuana program has been established. Instead, the state has implemented CBD-only laws for those who suffer from specific conditions. Patients are required to obtain their medication from a state-approved source. The products allowed for use are CBD or marijuana derivatives that contain no more than 0.9% THC and must contain at least 15% CBD. The products are to be synthesized or extracted from an approved lab. HB 197 of 2015 allows possession of cannabis oil that contains less than 0.9% THC as long as the oil was purchased legally in the U.S. and outside of Tennessee. The oil must come from a state with an operational medical marijuana program. This is difficult to achieve as most states do not allow the transfer of medical marijuana products across state lines. There is not a medical marijuana program in Texas. Instead, the state has implemented CBD-only laws for patients with intractable epilepsy. The state has implemented CBD-only laws for those who have intractable epilepsy. In addition, those patients only qualify if they have been unresponsive to at least three traditional treatments suggested by a neurologist. Recreational use and cultivation are permitted. Cultivation must take place in the residents of the grower. Only adults over the age of 21 are allowed to consume and grow cannabis. No recreational retail sales are permitted. The state also utilizes a medical marijuana program for those who suffer from specific conditions. Patients are allowed to cultivate up to nine marijuana plants. However, no more than two can be in a mature state. The state has implemented CBD-only laws for those who have intractable epilepsy. However, there is no method defined on how to obtain the medication in-state. The state has implemented a medical marijuana program for those suffering from specific conditions. A state-issued medical card is not required. Patients can obtain their medication through a state-licensed dispensary. The state has implemented a medical marijuana program for those suffering from specific conditions. A medical card is not required to participate in the program. Patients can get their medicine from a state-licensed dispensary. However, the state does not allow the sale of whole flower cannabis. In addition, it is illegal to combust (smoke) marijuana, but vaporization is permitted. Approved products can only be extracted from hemp and contain less than 0.3% THC, and at least 5% CBD by weight. No in-state production or purchase method is defined. AS you can see, each state seems to have its take on what should be illegal, and what shouldn't. Federally speaking – it's illegal. Except for hemp that contains under 0.3% THC and is sourced from Europe. Hemp-derived products that contain no more than 0.3% THC that are sourced from Europe are legal in all 50 states. It is essential that you do your own due diligence to make yourself aware of the laws in your state – as laws change in this industry almost by the day. Remember, this list is subject to change without notice. 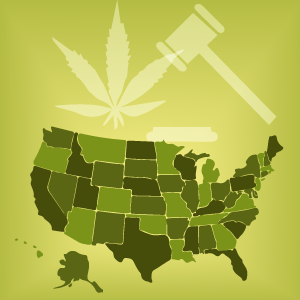 We'll do our best to update this complete list of marijuana & medical marijuana laws, state by state.